Badia Bentley is a seamstress and sewing instructor from Egg Harbor Township, New Jersey. She started her business, Sewing With Badia, in October 2007 but she says her passion for sewing began in the 6th grade when she learned how to sew, darn and do needlework from her mother and grandmother. After high school Badia’s first job was in a sewing factory where she worked for several years, then after having children of her own she made clothing for them and taught them how to sew. For Badia, sewing presents the opportunity to see one’s accomplishment from start to finish. She wants to show and teach others that sewing can be fun and easy to learn and she’s accomplishing just that! In addition to teaching sewing with and without patterns, teaching workshops and group sewing, Badia also creates and sells specialty items such as clothing, adaptive clothing, comforters, quilts, handbags and purses. She also makes business apparel (i.e. salon client smocks, scrubs, pajamas, pants, uniforms) and is available for contract work. Badia enjoys working from home in a sunroom that is dedicated to her sewing business and although she says she struggles at times to make a living, the best part of being self employed is “being independent, living your passion for something you love to do. I struggle to make it financially but I have such peace of mind and happiness within and it gives me joy to teach and help others how to sew.” She plans to expand her business into the Philadelphia area and hopes to take on more contract work. 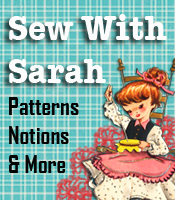 Visit her website at SewBadia.com or click here to view her products and rates.